Good morning polished world! Happy Saturday to you all! I will be sleeping most of today in the cold air conditioning since it is a sauna outside. It's expected to be hot and humid. Last night at midnight it was in the 80s. This is the part of the summer that I hate. Although, I hope it does stay warm through next week since I have lawn seats at a concert. 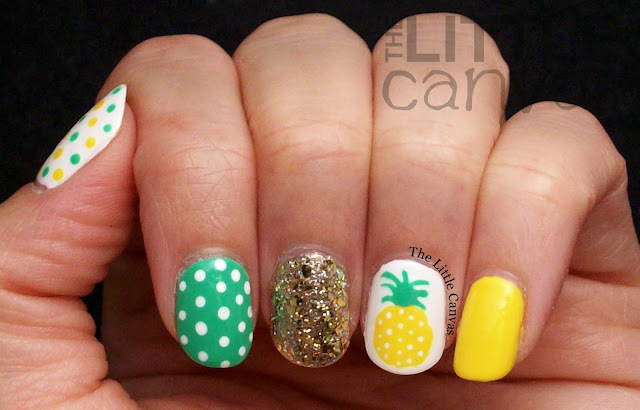 Since it's super hot, it's only fitting that I share a fun, bright, summer manicure. 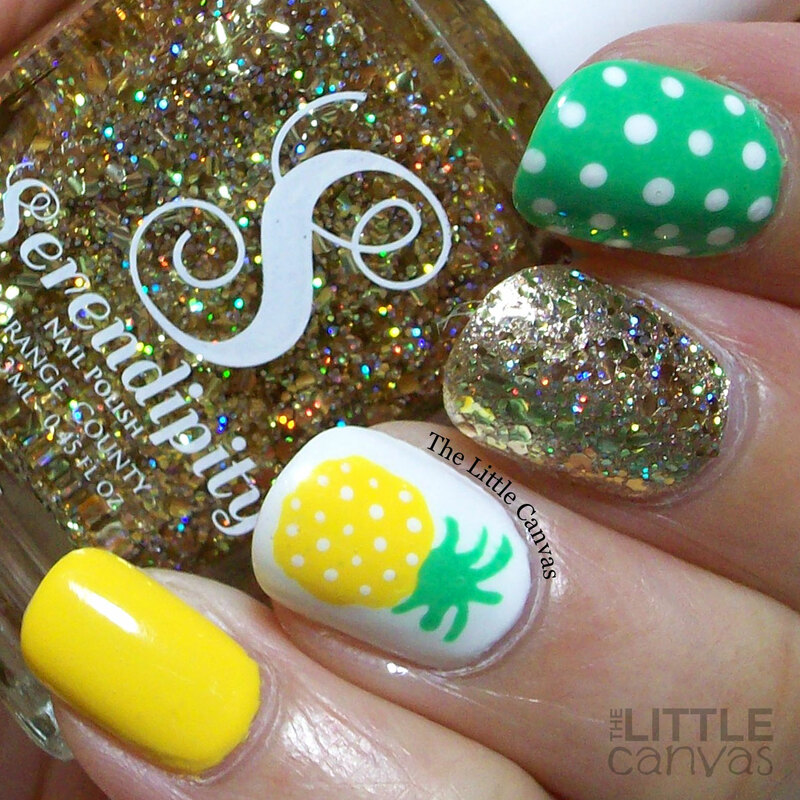 What's more summery than pineapples!? Okay, maybe there is something more summery than pineapples, but whenever I think of a pineapple, I think of a warm, tropical island. And, that's what it feels like where I live. 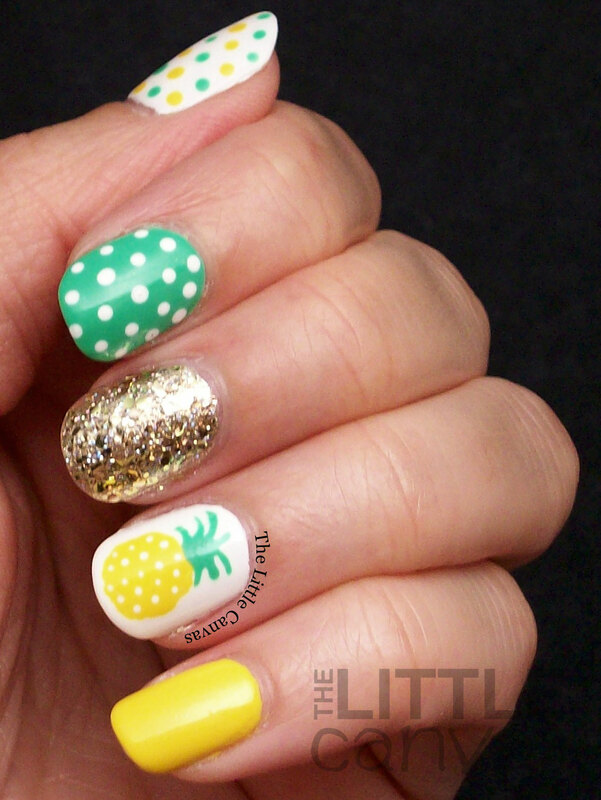 Okay, guys, I think this is my all time favorite pineapple manicure! 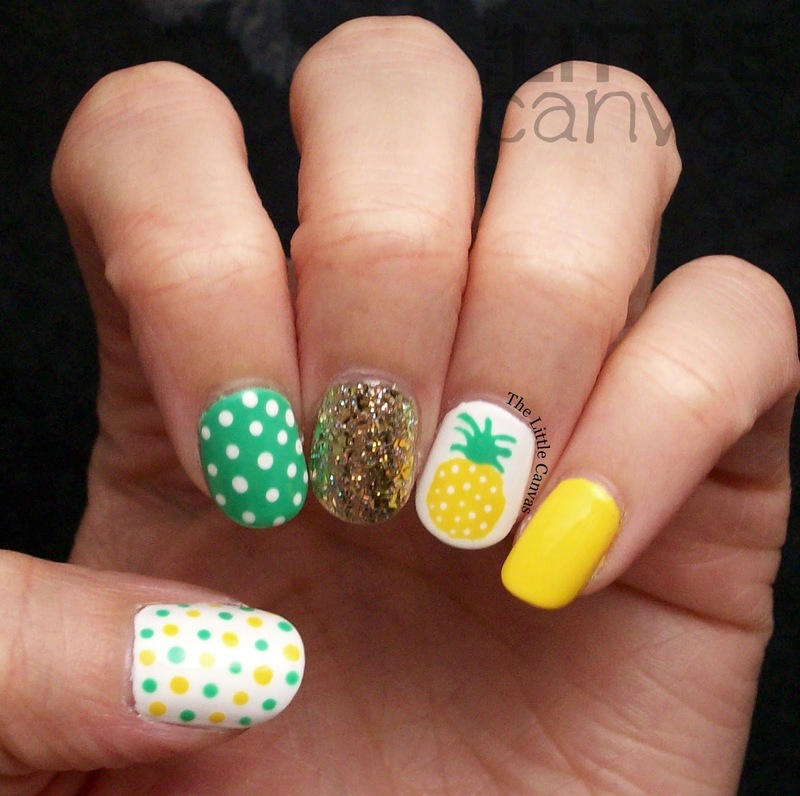 Alongside of my love of florals, I have a huge love for all things pineapple. Earlier this year I bought a pineapple shirt from NYandCo and a pair of green capris to match. Of course when I wore it the first time I had to paint a manicure to match. After looking around the internet at dozens of different designs, I came up with this lovely design. I just realized I haven't shared Serendipity Polish in Sunshine Rainbow with all of you yet! I really do not know what has taken me so long since this polish is absolutely GORGEOUS. It is a gold hex glitter with holo microglitter throughout. I used two coats over one coat of a gold metallic polish. You could use it on it's own in three coats. With two like this, you have a dense topper, and one it's a light perfect topper. Absolutely gorgeous. 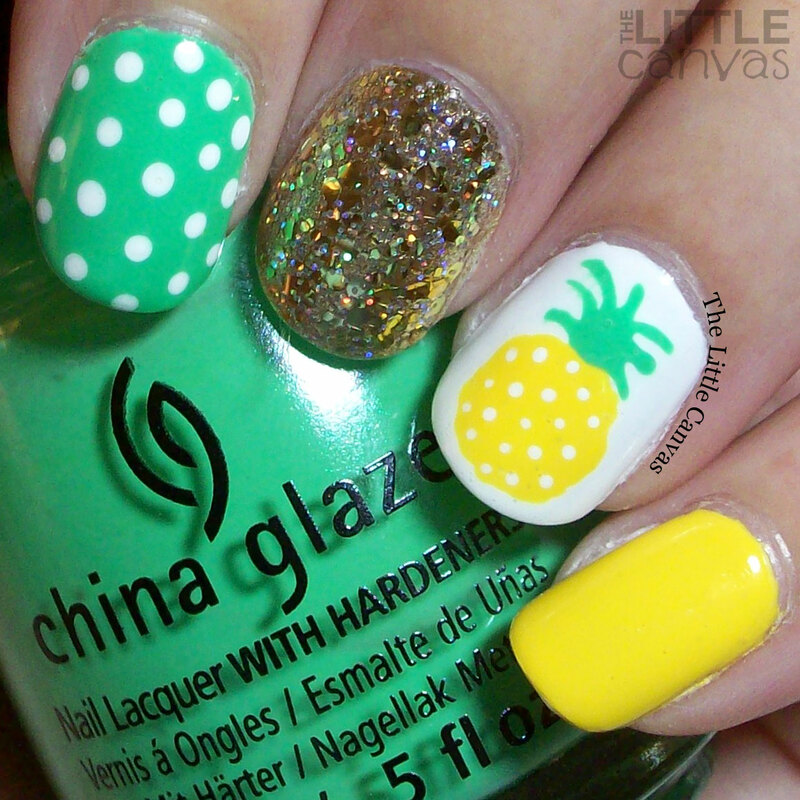 It reminds me of China Glaze Bring on the Bubbly, but with a lot more holo! I'm so proud of my little free hand pineapple. It's not perfectly circular, but neither are pineapples! I used dotting tools and toothpicks for all the details. I tried to use brushes but I couldn't get everything to look how I wanted it to. What do you think? Fan of this look? Something you would try? Love Sunshine Rainbow as much as I do?? Now I want a pineapple smoothie.